What's our story at Kinetic? The agency offers all the benefits of a traditional high street agency and online concepts, both at low and fair selling fees. Directors Daryl and Rob boast 20 years' experience within estate agency and have both worked through good and tough markets. Being an independent agency, we pride ourselves on offering first-class customer service by providing regular contact, utilising cutting edge technology but still retaining traditional old-fashioned values. 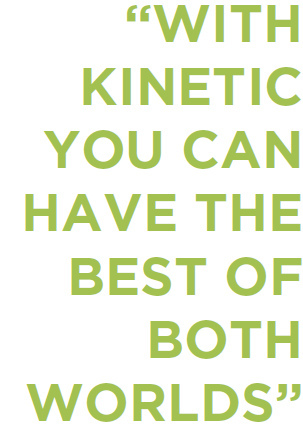 Kinetic have listened to customers and recognised that there is a demand for both of our packages within the current market. The general opinion is that most clients prefer the traditional 'No Sale No Fee' high street estate agency approach but at a reasonable and fair commission. On the flip side, the obvious risk when engaging most faceless online only concepts is actually being able to get hold of the ‘local expert’ when they’re paid individual upfront commission, regardless of whether they sell the property or not. With Kinetic you can have the best of both worlds, a physical office for regular contact and accountability along with low and fair fee's! Outside of office hours the team are still responsive and work long hours to assist all our clients whether they are selling or buying. We offer everything from professional standard photography, virtual reality tours, floorplans, elevated photography and advertise on the major portals such as Rightmove & Zoopla along with our own website www.kineticestateagents.co.uk, which enables us to give you maximum exposure online and provide an excellent representation of your property. The office is conveniently situated in a location a short distance from Lincoln City Centre, in a popular residential area which offers free parking and a relaxed environment. 01522 88 88 84 or email sales@kineticestateagents.co.uk. 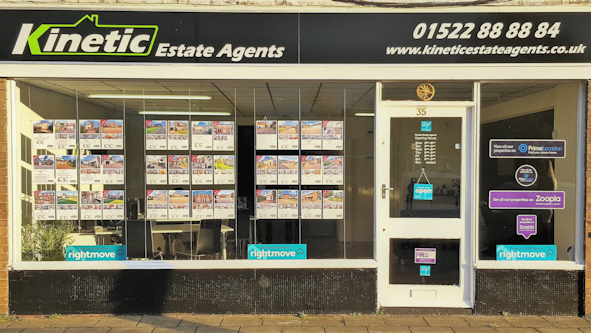 Kinetic Estate Agents are a full member of The Property Redress Scheme which is authorised by the National Trading Standards Estate Agency Team (formerly the Office of Fair Trading) to offer redress to consumers of Estate Agents under the Consumers, Estate Agents and Redress Act 2007. The property redress scheme provides a free, fair and independent service for dealing with unresolved disputes between sales and letting agents and consumers who are actual or potential buyers or sellers or landlords or tenants of residential property in the UK.